Matt Pulver knows firsthand the pitfalls small business owners face in today’s market. He ran his own web development and web design business for eight years, after which he transitioned to working alongside business owners, which brought him to US Federal Contractor Registration. 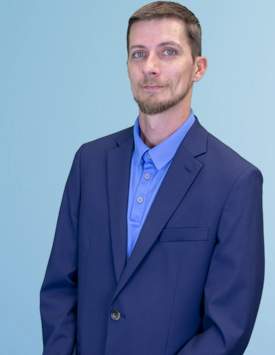 Here, Matt is part of the web and IT team, and is tasked each day with making sure clients have the data, information, and content they need to succeed as government contractors. As for that success? Matt has one key piece of advice — be patient. Small business owners shouldn’t expect to register with SAM one day and land a contract the next day. Overnight success isn’t realistic — but what is realistic is putting in place the system and support network you need to position your business to land the right contract at the right time. And that support system doesn’t have to include a stand-alone IT team. US Federal Contractor Registration clients know that with us, they get a dedicated team of web and IT specialists who are available to troubleshoot issues. Matt enjoys helping clients fill in the blanks and get information that they couldn’t get anywhere else, and helping them best position themselves with the federal government.